Bit embarrassing they've managed to put the pitch in the wrong place too. Were in no position to criticise or take the piss out of another's club stadium. To do so against what is going to be one of the worlds finest football grounds, smacks of complete hypocrisy. Talk about claret n blue tinted glasses. That ground will surpass anything we've got or likely too have, bragging rights my arse. As stated above, we're really in no position to be taking the piss out of any clubs ground, especially Tottenham's superb, purpose built football stadium. I would compliment them on doing the thing right. Hats off to them is what I say. When you read the spec of the Stadium it is truly amazing. It will outflank the Arsenal's too, and will only be secondary to Wembley Stadium. I certainly wont laugh about how it looks. 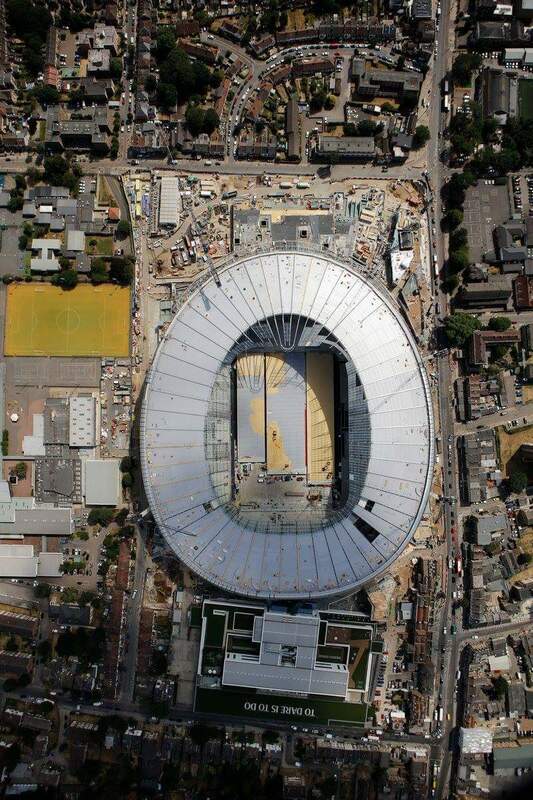 I would take ours looking like a toilet if it meant we had a purpose built stadium. Wondered if I would see this posted on here after being all over Facebook. The Sherriff wrote: Were in no position to criticise or take the piss out of another's club stadium. Purpose built, freehold, state of the art stadium, that is still located in the heart of their local community, and hasn’t severed all ties with their heritage and history...yeah, let’s take the piss out of them...FFS. Last edited by DaveWHU1964 on Sun Jul 22, 2018 2:15 pm, edited 2 times in total. We grasp at the fact that it looks like something mildly humorous. Truth of the matter is, if we’re being totally honest, is that they are in fact doing everything correctly, whether that be building a model squad, financial base, or new ground. They’re doing what we should’ve done. Would swap their toilet bowl for our utter **** hole any day of the week. DaveWHU1964 wrote: A mate had a conversation a couple of weeks back with of the three blokes working on the stadium. They told him that they'd be surprised if the stadium was completed this side of Christmas and that the scum may have to hire Wembley for the whole season. The main problem for our North London friends was that they'd run out of money and that materials for the stadium were piling up at ports and weren't being released because they hadn't been paid for. They also said that the quality of building is poor and would cause problems later on. These lads had no axe to grind with Tottenham. I pass this on with no idea if they are right on this but firmly hoping that they are. Might as well stick this one in the bin, mods. Apologies everyone. Tottenham have found out the truly savage cost of major construction projects inside the M25. The place could possibly end up costing them nearly double their original budget, and that will eventually tell on their ability to splash the case recruiting or retaining players. But : it's theirs, it's a football stadium, it's on the same site they've been at for ever and there won't be a single Tottenham fan on the planet who would swap their new place for ours. No I think this needs to be left here. If you make a **** of yourself you should pay the consequences. StevePottsGoalsReel wrote: Wow, you try to start a moderately light-hearted thread while there's little actual football to talk about... .
Light hearted it may be, but given the sensitivity of fans around our current location, it’s hard not to feel like it evokes the phrase about “people in glass houses...”, especially as the toilet bowl jibe is entirely cosmetic. Could ours be converted into one? No doubt we'll have a stinker or two, there. It’s a stunning stadium, and as a club they are so far ahead of us it’s almost comical.